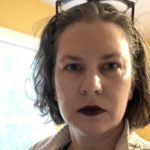 Sarah Werner is a book historian, Shakespearean, and digital media scholar based in Washington, DC. Her latest project, Studying Early Printed Books, 1450-1800: A Practical Guide, will be published by Wiley Blackwell in the spring of 2018; the book will be accompanied by a website showcasing images of hand-press books and pedagogical resources. Werner worked for nearly a decade at the Folger Shakespeare Library as the Undergraduate Program Director and as Digital Media Strategist; in those roles she taught a regular semester-length research seminar on book history, created their research blog (The Collation), and led the overhaul of their website. She has a PhD in English from the University of Pennsylvania and is the author of numerous works on Shakespeare and performance, including Shakespeare and Feminist Performance (Routledge 2001), as well as on bibliography, digital tools, and pedagogy. PhD, English, University of Pennsylvania, 1996. BA, English, Bryn Mawr College, 1990. “Performance in Digital Editions of Shakespeare,” The Oxford Handbook of Shakespeare and Performance, ed. James C. Bulman. Forthcoming 2017. “Digital First Folios,” The Cambridge Companion to Shakespeare’s First Folio, ed. Emma Smith. Cambridge UP, 2016. 170-84. Textual Editor, The Taming of the Shrew, Norton Shakespeare, 3rd edition. Norton, 2015. “Othello and Theatrical Language.” Shakespeare’s World of Words, ed. Paul Yachnin. Arden Shakespeare, 2015. 171-86. “Digital Scholarship and Digital Studies: The State of the Discipline.” Co-written with Matthew Kirschenbaum. Book History. 17 (2014) 406-458; DOI: 10.1353/bh.2014.0005. Editor, New Directions for Renaissance Drama and Performance Studies. Palgrave Macmillan, 2010. Shakespeare and Feminist Performance: Ideology on Stage. Accents on Shakespeare. Routledge, 2001.